Kunshan Weitaili Tooling Factory, specialized in manufacturing Aluminum alloy products for more than 16 years, with an experienced engineer team which are served in this factory at least 8 years. We respect your every demands, from designing to produce. 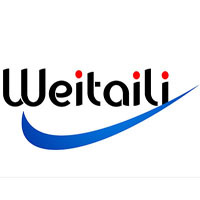 Kunshan Weitaili Tooling Factory, specializing in the production of aluminum alloy, stainless steel, brass, steel parts,etc .for over 16 years, with an experienced team of engineers, at least 8 years in this factory. Our main exports: Aluminum enclosures,3D printer parts,LED housing,Wheel,Picture frames, remote control cars, metal parts, medical equipment, aluminum wire drawing panel, bathroom accessories and other mechanical parts. 3. Timely delivery:Sample 7-10 working days, 10-15 working days of delivery. 4. Provide OEM, ODM service.CNC machining,cnc milling,CNC turning ,laser cutting,aluminum extrusion,etc.